I haven't done a cover lust post in over a year! A YEAR!!!! I know this is really bad! Let me make it up to with a bumper cover lust post! To tempt you further, the blurb for each book will be in italics! I found this over at a blog called Wasterpaper Prose. This is written by Diana Peterfreund and will be published on the 12th June in hardback. Published by HarperTeen, so not sure if the UK will be publishing or not, although it is available on Amazon. This will be published by Simon and Schuster in November and is just stunning. I want to sit under that tree! Found this one over at Icey Books. I found this one over at Pen to Paper. From one I can gather it has only be published so far in Australia by Random House Children's Books. Doesn't she look like Cruella De Ville??? I can't remember where I found this one. I love the sepia tones and the skyline. It was published in April this year by Arthur A. Levin books and is available from Amazon. This has to be one of my favourite of the new Strange Chemistry covers. I love it. It is just the type of book I love to read too. It will be published in October this year. Which ones do you want to drool over?? 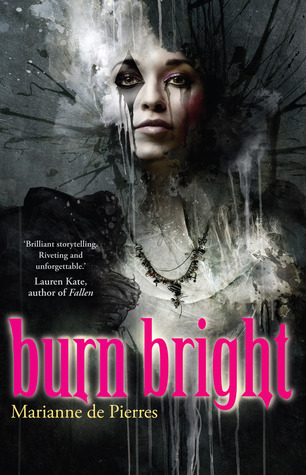 The cover for Burning Bright is just awesome, it has much going on but not too much. It's the kind of cover one has to study to see if there are secrets there that one doesn't see at first glance. I like all the covers you have shared with us today, Vivienne. 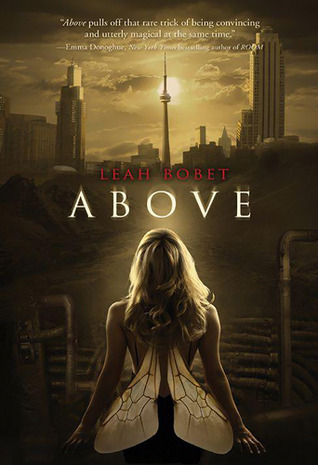 I adore the cover of above! It's just soooo pretty! It is gorgeous isn't it. 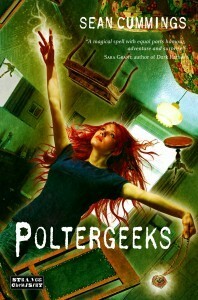 I love the title and cover of Poltergeeks! Isn't it fabulous. That is going to be a good one. wow! Burn Bright looks amazing! !